This story takes place in a fictional town, in a fictional country, in a fictional world. One morning, a young lady awakens to find that she has lost all her memories prior to that morning. Her life, her relationships, her very name—all gone. All that's left is a cell phone with numbers and names she doesn't recognize and Orion, a young boy that only she appears to be able to see. With Orion's guidance, she struggles to make sense of herself, a boyfriend she doesn't know and the thousand and one little things that make up a daily life. But with no memories left, the only alternative is to forge new ones, even if that means leaving old loves behind. 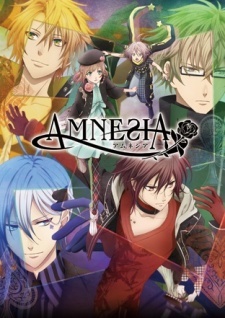 Amnesia could easily teach young girls that toxic behavior is forgivable in a man as long as he truly loves you.